Measure sound pressure level of a room or an environment with this neat little Phidget that plugs into a VINT port (See the Connection & Compatibility tab for a list of VINT Hubs). 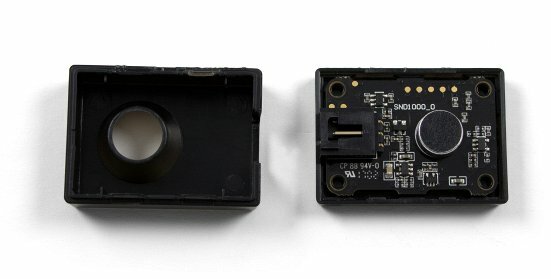 You could also use it to detect the occurance of sudden noises. The sensor returns data in dB (SPL), which is decibels relative to the quietest noise a human can hear. 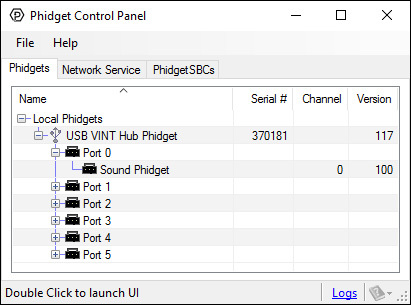 The Sound Phidget also reports data in dBA (SPL) and dBC (SPL). 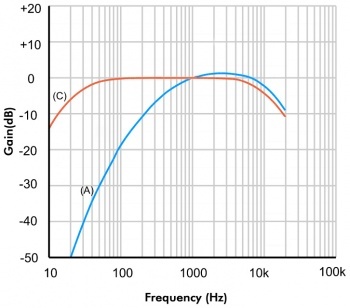 These are special standardized weightings of the frequency range created for specific purposes. For example, dBA puts less emphasis on lower frequencies that the human ear doesn't pick up, making it ideal for measuring loudness as heard by your ear. 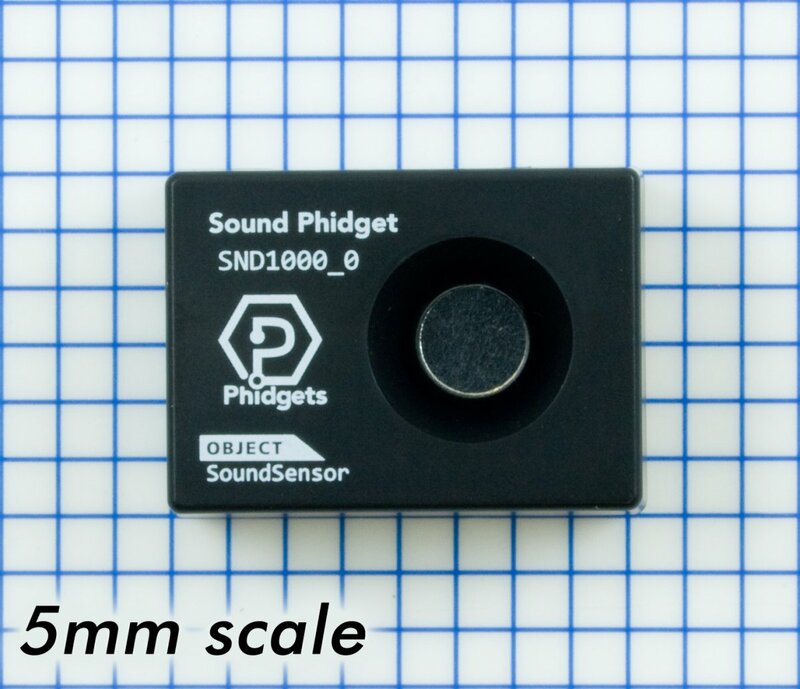 This Phidget is also capable of analyzing specific frequency bands of sound. Every time data is sent to your program, an array of 10 values will be sent, each one corresponding to a different frequency band ranging from 31.5 Hz to 16kHz centered. 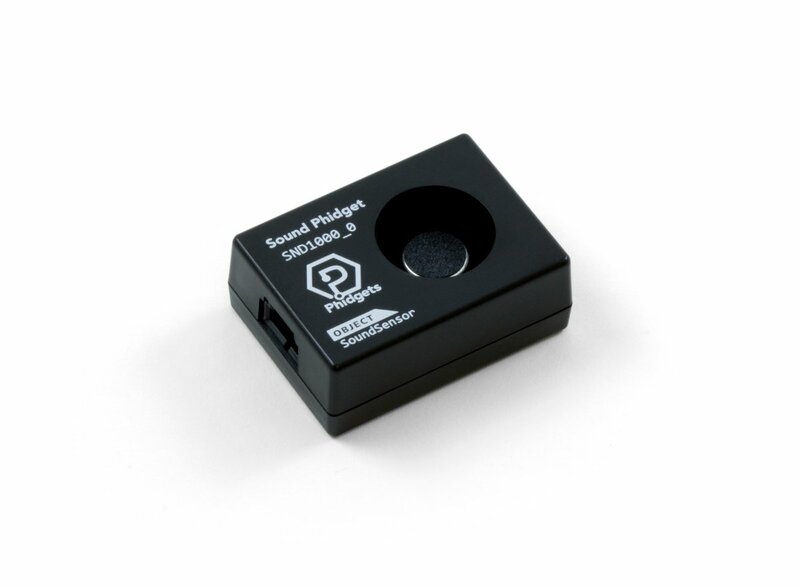 * - Below 34 dB, the sensor will be picking up white noise.